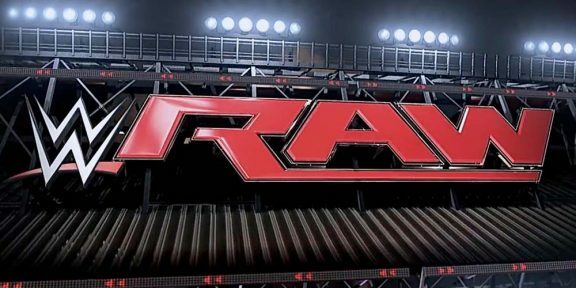 Back in the U.S.A., tonight Raw is live from “Music City,” Nashville, Tennessee! Of course, the major storyline is that we are six nights away from Survivor Series. Following last week’s thrilling ending, what will go down tonight with The Authority and everyone involved in the big brawl? It has been announced that C.M. Punk and Daniel Bryan will take on The Wyatt Family at S.S. (so, there’s goes my huge 12-man Tag-Team speculation! ), but where does that leave The Shield, The Usos, and Tag-Team Champions The Rhodes Brothers? The Big Show continues to pick fights with WWE Champion Randy Orton before their match at the pay-per-view. Who will get the upper hand and build their momentum prior to the WWE Championship bout? World Heavyweight Champion John Cena is rolling along, but Alberto Del Rio is sure playing “arm games,” (like what I did there?!) and trying to intimidate The Champ, also leading to their face-off at Survivor Series. 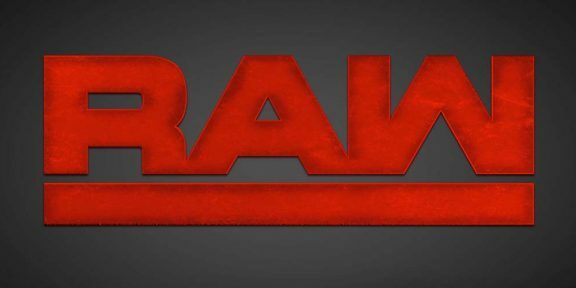 All this and much more, plus my picks for the long-time annual show, so read on to find out what went down on Raw! A video montage of the chaotic Raw seven nights ago is aired, then Michael Cole welcomes us to “Raw Country.” Tonight, the band Florida Georgia Line will be on hand to perform, as will The Wyatts & The Shield, facing Daniel Bryan, C.M. Punk, The Usos, and Tag-Team Champions The Rhodes Brothers. Intercontinental Champion Curtis Axel will also defend his title against Big E. Langston. Triple H takes umbrage with Orton’s mood, but they get interrupted again, this time by Brad Maddox and Vickie Guerrero. Maddox quickly blames Guerrero for the faults, but that “makes no never mind” (quoting a favourite movie of mine) to The Authority. Stephanie announces that they will both be in matches tonight, as Guerrero takes on Divas Champion A.J. Lee; HHH gives Brad to the WWE Champion Randy Orton. He does give Brad a bone, making the bout No-Disqualification rules. Maddox tries to escape, but turns right into the Director Of Operations Kane, who turns him around and subtly tells him that he’s not getting away. As Orton approaches, Maddox hops outside to get a quick break as best as possible. He keeps playing chicken, hiding around the announcing area. “The Viper” eventually catches him, but is nailed with the microphone by Maddox, then run into the ring post. Brad soon realizes what he could accomplish and jumps in the ring for a cover. 1 – 2 – Orton kicks out! Now, Randy gets that look in his eyes and starts to tear apart the commentary table and Maddox himself. Orton rips off Maddox’s stylish pink shirt, then rests him on the barricade and drives him down with the DDT. Orton takes the microphone and pummels away at Brad’s head in the ring repeatedly. The referee gets the WWE Champion to back away and promptly calls for the bell, pronouncing him the winner. Backstage, both Big E. Langston and Intercontinental Champion Curtis Axel are shown walking through the hallways and preparing for their contest. Backstage, Raw General Manager Brad Maddox is shown on a stretcher and being wheeled away by paramedics. Smackdown General Manager Vickie Guerrero looks on with worry. They trade waistlocks to begin, but Curtis elbows his way out and chops back. Langston regains control, hitting a backdrop for two. He catches a boot from Axel, then clotheslines him down. He picks him up on his right shoulder, then just tosses him off with ease. Axel comes back again, jawbreaking Langston on the ropes, then hitting a clothesline to the back of Big E.’s head, the pounds away on the mat. Langston back in control briefly, until he gets dropkicked. He clutches on a front-facelock but is easily tossed off by Langston. Big E. fires himself up with a belly-to-belly suplex and eventually drops him with the Big Ending flapjack for the victory! Post-match, Big E. celebrates with the fans his big (yes, pun intended!) win. The Shield and WWE Champion Randy Orton strike a deal to help each other out in their respective matches. I kid you not, the title of this segment is what’s actually happening! Very quickly, this pointless skit ends with a big Diva brawl. They circle around each other, then lockup. Both shove off and go again with another elbow/collar tie-up. Show gets the better this time, then punches away in the corner. Show slaps him hard against the ropes. Ryback takes a breather on the outside, then knees and punches Show this time. Big reverses an Irish whip with a shoulder block, but later Ryback comes back with a chop-block. Ryback takes control, wearing him down with a front-facelock before DDTing him. 1 – 2 – Show kicks out! Ryback goes back to the submission, but Show counters with a backdrop! Show comes back a bit but is suddenly spinebuster-slammed by Ryback! He gears up for the Meathook Clothesline, but Show grab shim by the throat as he ran. Ryback shoves him off and has him face-down on the mat. Ryback attempts the Shellshock, and actually drops him with it! 1 – 2 – Show still kicks out! Ryback tries to get the 7-Footer up again, but Show pushes off and hits him square with the knockout punch as he came back! 1 – 2 – 3! Post-match, WWE Champion Randy Orton comes out of nowhere with an attack, but Show counters with a huge spear! Orton rolls to the outside and the two glare at each other intensely. Zack Ryder is chatting with Florida Georgia Line when 3.M.B. walk in. They plug themselves and try to impress the real country band. Pointless. WWE Champion Randy Orton is cheesed and verbally bashes the trainer. He wonders where is protection from The Shield and The Authority. Cesaro and Miz start out, with Antonio using locks to take Miz down. Miz counters quickly, but also fakes out tagging Kofi for some reason. He runs at Cesaro in the corner with a clothesline, then follows up with the Axe Handle off the top. He leaps onto Cesaro, but The Real American catches him and turns it into a slam! He hurls Miz to the outside, and tags in Jack, who clotheslines him to the floor. Swagger now the legal man, rams his shoulder repeatedly into Miz in the corner, then hits the Swaggerbomb splash, followed by Cesaro’s leap-over double-stomp. Miz wants the tag and as Kingston goes for it, he suddenly hops down to the floor. Swagger takes advantage and clamps on the Patriot Ankle Lock for the tap-out! Backstage, Vickie Guerrero looks around then knocks on the trainer’s door. She yells “Doug,” then drops down and appears to have passed out. Guerrero is strapped to a stretch when Stephanie McMahon walks by. She doesn’t fall for Vickie’s antics, and orders the paramedics to bring her to the ring. Vickie is rolled into the ring by the paramedics, then tries to fake-out again with faints. She literately runs into Tamina, but A.J. chases her down the aisle and drags her by the hair to the squared circle. A.J. plays around a bit, then clamps on the Black Widow Octopus hold/stretch, and Guerrero quickly gives up. The ring is decorated with various musical instruments for the competitors to use. Sandow aggressive early with kicks and punches, but misses a swing with the electric guitar. Dolph uses the steel steps to jump on Sandow, but Damien quickly regains control by hitting him a couple of times with a stand. Sandow slugs away in the corner, but Dolph kicks him in the gut and hits a beautiful dropkick! Returning, Ziggler is getting rammed in the corner and headbutted by Damien. He his whacked with a chair, then Sandow sets it up in the corner. Dolph reverses into an inside cradle for two! He sweeps him up and punches away, but gets hit square in the noggin with a fiddle! 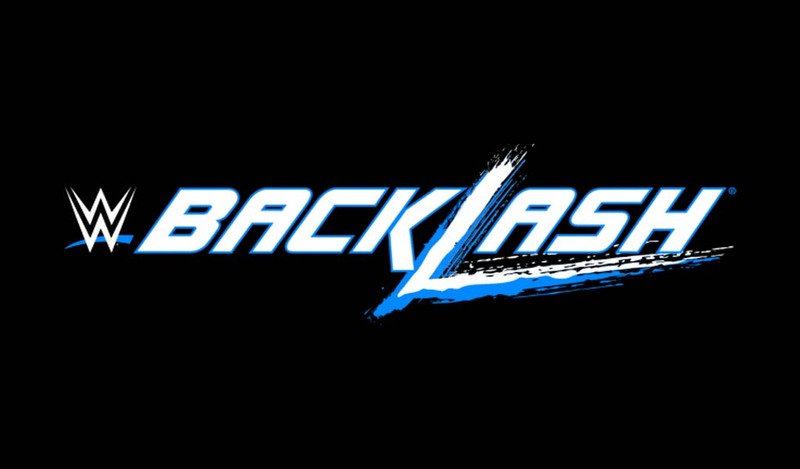 1 – 2 – Ziggler kicks out! Damien runs Dolph into the steel chair in the corner, but Ziggler blocks it and comes back with a high-angled jumping DDT! 1 – 2 – Sandow kicks out! Dolph swings another fiddle and hits Sandow in the back, then plants him with the Fameasser! 1 – 2 – Damien kicks out again! Dolph attempts the sleeper, but Sandow tosses him off and into the corner-laid chair. 1 – 2 – Dolph still gets the shoulder up! He is run into the cello, and Sandow winds up with an electric guitar, but runs right into the ring post after Ziggler moved! He uses the snare drum (thanks Jerry Lawler for the reminder!) and smashes it over Sandow’s skull! He does the same with a bigger base drum (again, kudos Lawler! ), then finishes this one with a guitar-shot to Sandow’s head, a la Jeff Jarrett! World Heavyweight Champion John Cena is making nice with Florida Georgia Line, and will be out next. World Heavyweight Champion John Cena comes out to his usual mixed reaction. Cena’s left arm is back in a sling. He thanks Nashville for the reaction. Cena recaps how he got the sling, courtesy of the attacks from Alberto Del Rio last week. The Champ is all business, but puts over the fans as the “energy and excitement that makes me want to come back.” John then questions whether he should’ve come back this quickly and be the World Heavyweight Champion. Cena just as quickly about-faces, declaring his usual “fight through the pain” and “Super Cena” personality. Alberto Del Rio takes the opportunity to interrupt. He mocks Cena’s words, then challenges him to hold the Heavyweight Title up with his injured arm. Del Rio continues to provoke Cena until The Champ tosses off the sling and fights with the Mexican Aristocrat. Del Rio backs off and the two mince words. R-Truth raps his way to the ring, and introduces NXT (maybe former) wrestler Xavier Woods. He is impressive leaping around and ducking manoeuvers from The Cowboys. R-Truth puts McIntyre down with a suplex/jawbreaker move, then lets Xavier take this one with his “Lost In The Woods” finisher. Triple H and Stephanie walk back in and give Orton the confidence he is looking for. However, they believe in him so much that they are banning The Shield and any other interference from the ring. Florida Georgia Line perform “Round Here” to the delight of the fans, and were actually pretty good. I’d recommend to give them a listen and try. Daniel Bryan and C.M. Punk make their entrance for the 12-Man Tag-Team bout next! Jimmy and Dean start it out with a lockup. Ambrose hits hard early with a shoulder block, but Jimmy comes back with a clothesline and scoop slam. Jey is now in but so is Roman Reigns. Uso controls then tags in Goldust, who Roman holds back to switch with Rollins. Goldust is on fire with an inverted atomic drop and kick-to-the-knee. Jey is back in and hits Seth in the gut with a smacking kick, but gets harshly elbowed. 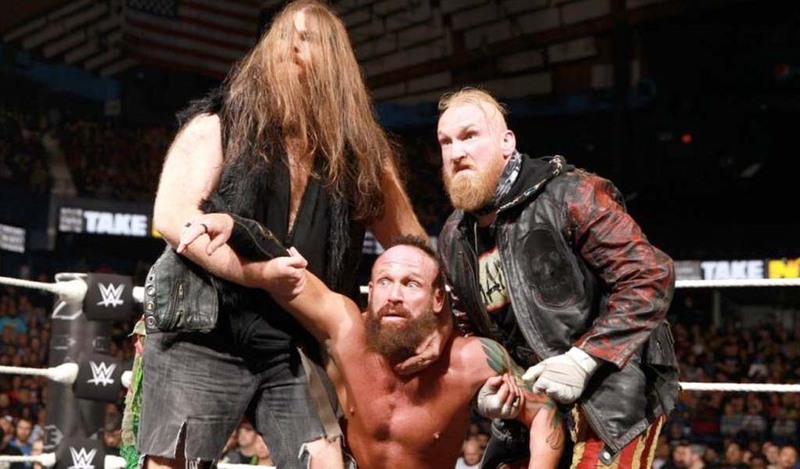 Luke Harper blind-tags himself, which infuriates The Shield. They and The Wyatts get into an argument. Goldust and Seth are going at it, with “The Bizarre One” pounding away in the corner on Rollins. Cody Rhodes now in and sunset flips Rollins for a two-count, but then hits the middle turnbuckle with his head after Rollins switched around the Irish Whip. 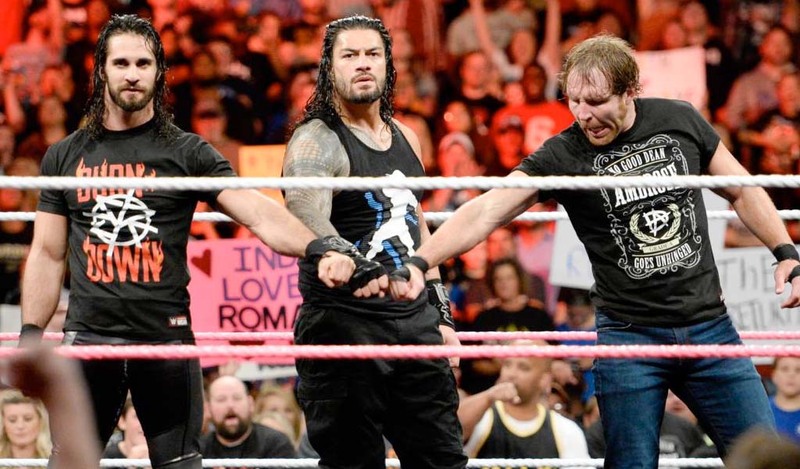 Ambrose back in and with Reigns, dominates over Rhodes. The Shield control Rhodes for a while, but he counters Harper with the Disaster Kick! Daniel Bryan receives the superemely-hot tag, and basically takes out everyone that is moving until Luke Harper catches him and drops with a powerbomb! Both Shield and Wyatts are back to controlling this bout. Bryan begins to come back again with elbows and a knee-to-the-gut, but before he can tag out, both Shield and Wyatts knock all his partners off the apron! Daniel reverses a backdrop from Reigns into a high-DDT! He is gaining his momentum and hype from the crowd to tag-in C.M. Punk! He soars in off the ropes with a springboard clothesline, then drops Ambrose and Rollins with a double-neckbreaker! He knees and clotheslines them both, then flies off the top turnbuckle with an elbow drop! Punk attempts the G.T.S., but Bray Wyatt comes in. Punk takes him out with a high-kick, and The Usos fly over the top to take out Harper and Rowan with planchas! Punk tries the G.T.S. again, but Ambrose counters into his DDT! 1 – 2 – Goldust breaks it up! Most hit their finisher, and Bryan & Punk plant Seth with a Hart-Attack Clothesline (Punk holds him up and Bryan runs off the ropes with the clothesline)! It is Punk and Ambrose left, with “The Straight Edge Superstar” dropping the Go To Sleep for the hard-fought victory! Post-match, as Punk celebrates, The Real Americans come out and everyone attacks again. But, in a true surprise return, Rey Mysterio charges out and helps Punk and Bryan take out the heels. Rey-Rey hurricanranas Cesaro over the ropes, takes out Rowan, and hits a double-619 on both Harper and Swagger. Punk and Bryan follow with the G.T.S. and running knee-to-the-head on Luke respectively! Mysterio, Bryan, Punk, The Usos, and The Rhodes Brothers all celebrate with ovations from the crowd to close the show. 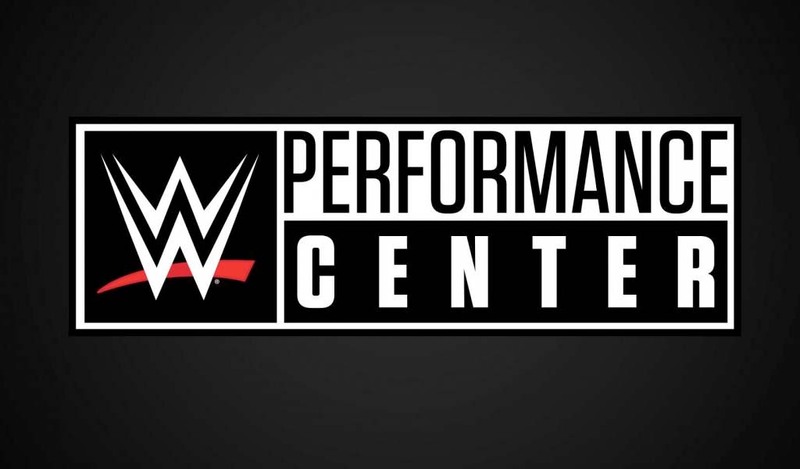 Excellence: Big E. Langston/Curtis Axel – was a great “power” match. Langston is definitely over again as a face, and hopefully this will give another much-needed revival to the Intercontinental Championship. It is too bad that Axel’s reinvention didn’t work out, because I did love the lineage/heritage of his new name. But honestly, if Paul Heyman couldn’t get him over, then unfortunately, there’s probably not many chances left. Ryback/Big Show – was a great match too, “power-wise” as well; again it will be interesting to see where Ryback goes without Paul E. by his side. Also a cool match between Ziggler and Sandow – brought back memories of the “Attitude Era” – could we see more? Also, a one-off for Dolph, or is he in line for another push? World Heavyweight Champion John Cena and Alberto Del Rio – both were superb in their usual promos, and Cena did have me suckered in a little, thinking that he would be hurt enough not to wrestle at Survivor Series but as usual come back as “Super Cena” and retain the title. Del Rio was awesome as normal to with his slimy and sadistic mocking of Cena. The main-event & ending – this is the hottest storyline right now, and I believe everyone involved are the hardest workers (plus John Cena) on the roster. Once again, the fans ate into it beautifully, which always makes it more exciting. Rey Mysterio’s return was a complete “wow” moment, and it will be interesting to see who they square him off with. I look forward to all of these guys mixing it up every week! The Rhinestone Cowboys – again Heath Slater is the most talented out of that group and should be given the singles run again like the summer of ’12. McIntyre and Mahal need to be repackaged. As of now, where did The Miz’s heel turn come from? That could’ve been much more explained and better laid out – not wasted in a Tag-Team bout. Really was not a fan of the whole “Randy Orton ticked off at The Authority” side story. I totally get where they made him come from and that was fine, but for Triple H and Stephanie to go back on their “face of the WWE” build of Orton so quick was too far. It kind of made no sense that they went through all this effort to put him in the top position and then, just because he was attacked by Big Show a few times, they go back on their word? If they truly believed in him, they would have more faith and go to bat better. All-in-all, I thought this show was downgraded from the last few weeks. The “country” side-gig (and there was a lot of it!) really took away from a serious standpoint it should’ve had, because we were only six nights away from Survivor Series. Hopefully next week will be much better, and the pay-per-view itself can still be hot. Speaking of which, my picks: John Cena to retain the World Heavyweight Championship and move on to a new feud. The Wyatts will win some sadistic way over Bryan and Punk to keep the story going. Team Total Divas over Team Divas Champ A.J., also producing a new contender for A.J.’s title. The Real Americans Team to defeat The Rhodes Brothers’ team, and set up a future Tag-Team Championship rivalry. (I know they are already having a match on Smackdown, but I see Cesaro/Swagger getting a bigger push and keep a series of bouts going with Goldust/Cody.) Somehow, Randy Orton will keep his WWE Championship. They can’t play “hot potato” with the title this quickly, I hope. This will allow him to assert that he really is the “face of the WWE” in his own mind and keep the backing of Triple H/Stephanie. Enjoy Survivor Series for those who are watching (I won’t, but will also avoid so I can have natural reaction when writing/watching next week’s Raw.) and as always, until next week, Be Excellent Wrestling-Online Readers and Wrestling Fans!